​Ritualistic and Occult Crimes is a comprehensive workshop designed to provide public safety, crime scene analysts, and law enforcement professionals with an extensive understanding of crime scenes containing symbolic and unfamiliar evidence. Investigators will be introduced to the types of crimes most often associated with occult activity, crime scene clues, investigation strategies, and an overview of active groups. Crime scenes, forensic and symbolic evidence involving the ritual practices of Satanism, Santeria, Voodoo, Palo Mayombe, and the Goth, Vampire, and Fetish Scenes will be presented. Crime scene and autopsy images will demonstrate forensic and symbolic evidence specific to particular groups. 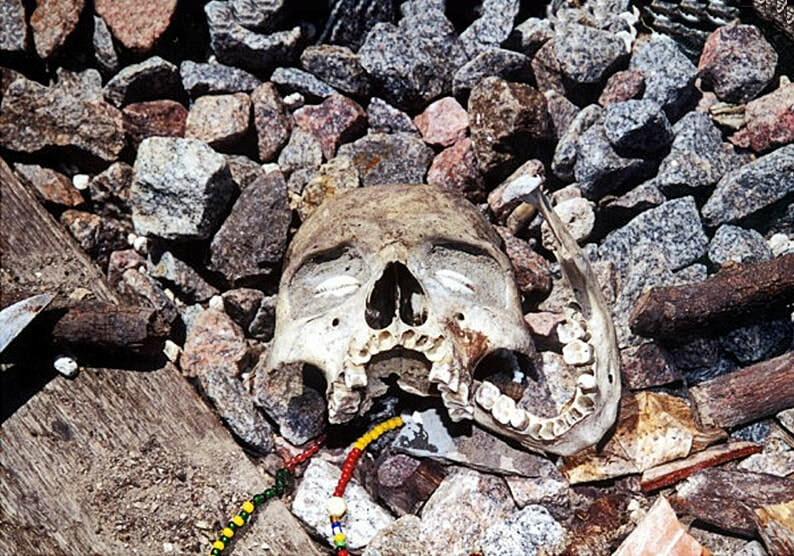 Case studies include ritual sexual abuse, animal sacrifice, and numerous ritual homicides. The portion of the course covering ritual homicides will provide the student with an extensive understanding of homicides involving symbolic evidence and trauma. Attendees will be introduced to a variety of unfamiliar injuries, excessive mutilation, unusual trauma, and symbolic crime scene evidence. Uncommon ceremonies, rites of passage, and initiations specific to particular groups will be described. Attendees will also be educated on a variety of unusual activities such as cutting, branding, blood drinking, and body mutilation. The significance of magical and occult ideologies as a motivation for ritual murders is described. The prevalence of child victims and juvenile perpetrators is addressed. Distinctions between counter forensic measures and ideological motivations for disfigurement and dismemberment are described in detail. Crime scene and autopsy images will demonstrate forensic and symbolic evidence specific to particular groups. Numerous case studies will be presented. This workshop includes a half-day practical exercise where students will be exposed to actual ritualistic activity or realistic recreations so they can investigate a scenario to its logical conclusion. Students also may take part in a tour of commercial businesses, such as “botanicas,” where accoutrements and paraphernalia used by ritualistic groups are bought and sold. This course is presented by Dr. Dawn Perlmutter. Dr. Perlmutter’s mission has been to advance knowledge, information, methodologies, and understanding of all expressions of symbolic and ritual violence. She provides law enforcement investigators, defense and intelligence agencies, forensic scientists, and criminal justice professionals with specialized information to assist in the investigation and analysis of unfamiliar areas of violent crime. Dr. Perlmutter also continues to develop interpretive research methodologies that are used in criminal investigative analysis. She continues to collect, systematize, and evaluate symbols, emblems, insignia, sacred objects, rituals, ideologies, etc., of hundreds of organizations, gangs, and sub‐cultural groups. Dr. Perlmutter’s lectures are frequently presented to standing-room-only crowds.